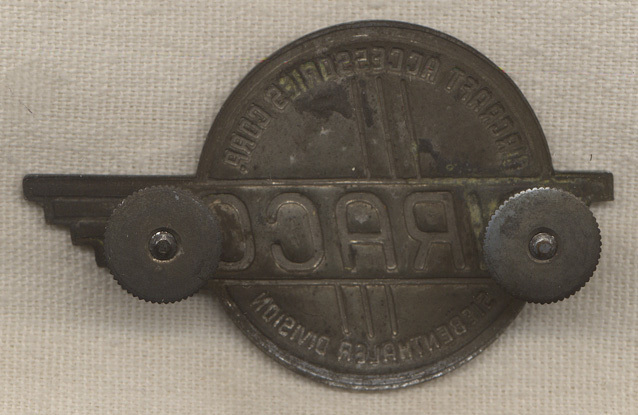 ARTIFACT: This is a circa World War II Airaco worker hat badge. The pin reads AIRCRAFT ACCESSORIES CORP. AIRACO SIEBENTHALER DIVISION. SIZE: 1-3/8� height and 2-1/4� width. CONDITION: 7 (Very Fine): Badge has moderate wear and tarnish.